Tag your videos in iTunes as HD. Is there a better alternative to HD Tag? Is HD Tag really the best app in Video category? Will HD Tag work good on macOS 10.13.4? The HD tag, if set, is read by iTunes and will place a little HD icon next to your video file to indicate that the resolution is HD. There are other apps out there that allow you to tag your videos with the HD tag but none so far that I've found that allow you to tag multiple files at once. I originally wrote this app for my own personal use and it came in handy when I was digitally storing all of my TV Shows and needed to tag the HD ones with the HD tag so that iTunes would display the HD icon. 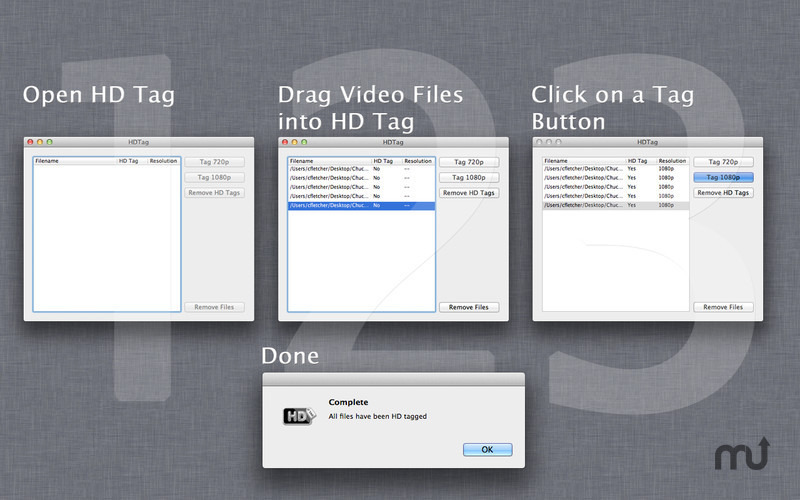 HD Tag will save you countless hours, maybe even days, depending on the amount of files you need to tag. HD Tag needs a review. Be the first to review this app and get the discussion started! HD Tag needs a rating. Be the first to rate this app and get the discussion started!